Dr Peter Nixon has many years experience in implant dentistry. He has dealt with thousands of cases from the simple to the extremely complex. Peter dedicates the majority of his time to treating complex cases referred for advanced restorative intervention, both in private practice and in hospital service. He has won a number of prizes throughout his career that recognise his clinical skills. 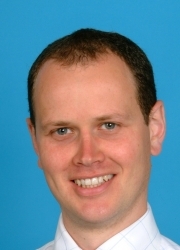 Dr Nixon is a Fellow of the Royal College of Surgeons Edinburgh and an examiner for the Diploma in Implant Dentistry. Peter also trains dentists and specialist trainees in implant dentistry and specialist restorative dentistry. As well as his work in the practice Peter is a hospital consultant working at Leeds Dental Institute. He is a GDC Registered Specialist in Restorative Dentistry, Periodontics, Endodontics and Prosthodontics. Patients just beginning to think about dental implant treatment may find it helpful to attend a complimentary preliminary consultation with Chesley or Tanya, the private patient referral coordinators. This appointment does not include a clinical examination and it only takes 15 minutes. The discussion will help you consider the options for treating your dental problems and decide whether to proceed to a clinical consultation for implants. This preliminary consultation is free of charge for visitors enquiring through this website. Please use the button in the right hand column to request an appointment. Once you have decided in principle that you want implant treatment, the next step is a clinical consultation. This includes a comprehensive oral examination, and results in the production of a fully-costed individual plan for your treatment. The fee for the clinical assessment appointment and provision of your personal treatment plan is £150 including X-rays and a letter detailing a summary of the consultation and an outline of full treatment costs. "I love my new smile! Over the years, despite trying to keep my teeth in good condition, I had lost quite a lot of them and was in need of several implants to be inserted both in my upper and lower jaws. I was really very scared to go through such an extensive surgery but after professional and detailed explanation of all the procedures by Dr Peter Nixon I overcame my fear and my Odyssey had begun! The whole procedure involved removal of several teeth and insertion of 8 implants but it was nowhere near as bad as I thought it would be. I have received a very careful and professional assessment and treatment throughout with explanations if I was uncertain about the progress of the treatment and healing procedure. After approximately one year of treatment I now have a set of beautiful new teeth. Clarendon Dental Spa in Leeds provided me with a highly professional and friendly service and I would recommend it to anybody who is nervous about major implant dental surgery." "I was suffering from gum infection on one of my back tooth which already had a lot of work done to it as it was supporting a long four tooth bridge. Because of the complexity of the treatment for this tooth, my NHS dentist referred me to Dr Peter Nixon at Clarendon Spa. He gave me three options of treatment with all their pros and cons. I decided to choose implants as they carry the most stable and long term solution. This procedure took about four months but it has been a much easy and relaxed experience than I have ever anticipated. Dr Nixon explained each step of the procedure as and when which gave me confidence and trust. I am very satisfied with my implants and I cannot tell they're not my own teeth. I feel more confident to smile and talk to people." In addition to prosthodontic, periodontic and endodontic treatment the practice offers specialist treatment in conjunction with other specialities. Sedation can be arranged and phobic patients are welcomed. Dr Peter Nixon also places implants one day a week at Kirkgate Dental Practice, Tadcaster.